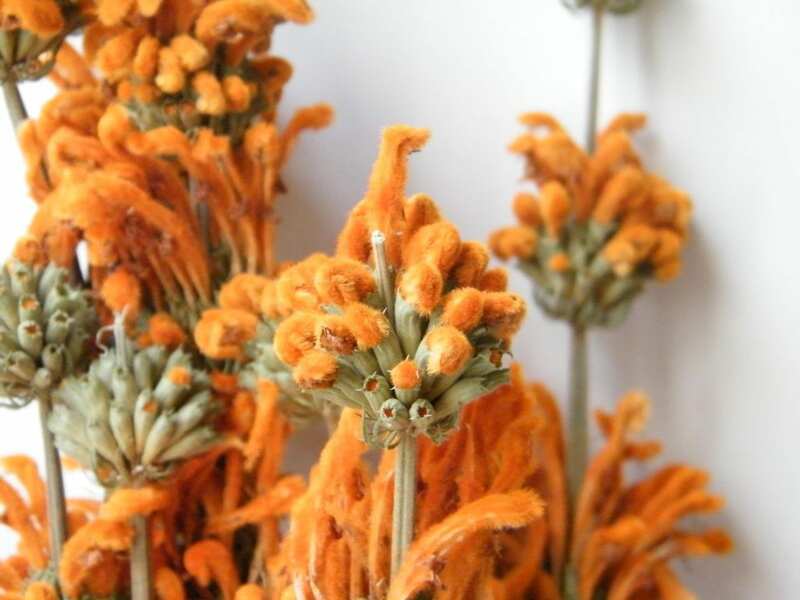 Although there is a growing range of dried flowers available in the UK, the choice of natural orange dried flowers is limited. One option is physalis (also known as Chinese lanterns), which is seasonal and associated with Autumn (and to be honest, a seed pod rather than a flower). Another is helichrysum, also known as straw flower. Whilst I have embraced most dried flower bunches in my enthusiasm for all things dried, I just cannot bring myself to sell helichrysum in our shop. Yes the colour is good, but the stems are often weak and untidy, and always seem to make for a messy and dated bouquet. 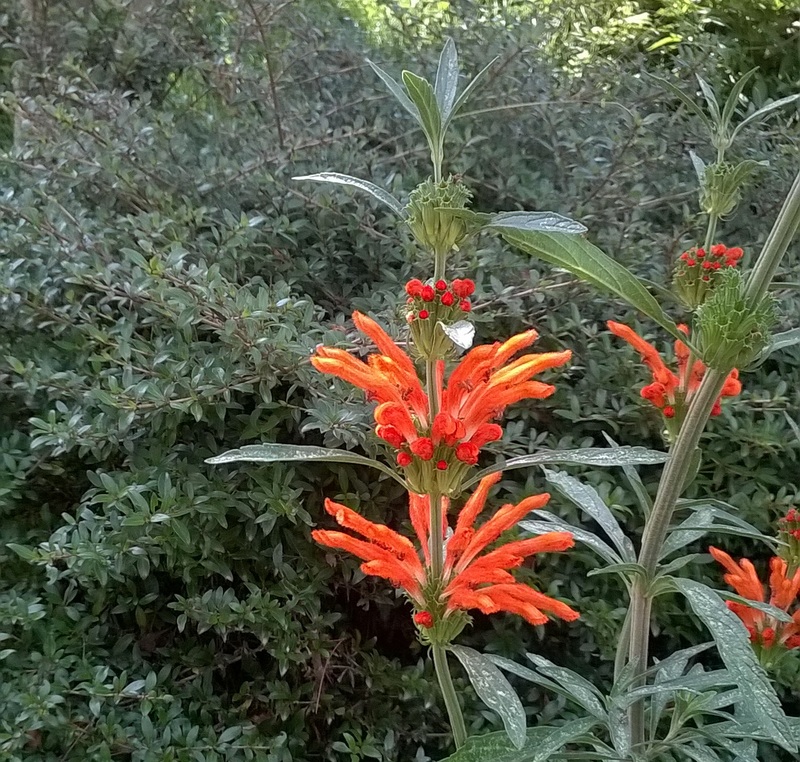 This is why I was excited to discover leonotis flowers, which are naturally orange in colour. Leonotis leonurus is an exotic orange flower, and a distant relative of the herb sage. To my knowledge, daisyshop.co.uk is the only UK stockist of this unusual dried flower. It is a common shrub in Africa where it originates. It apparently can be grown as a half hardy annual in this country, and will grow up to 2 metres tall – so if you have some spare space, why not try growing it from seed – you could even dry some spare blooms. Seeds are readily available from Sarah Raven and other stockists. Common names include lion’s ear or lion’s tail, referring to its soft velvety feel, and staircase plant for its tiered whorls of flowers. I think it’s lovely to be able to find dried flowers in nearly every colour. There are a lot of dyed flowers out there, but it seems a shame to lose their natural charm in that way. Co-ordinate leonotis flowers with grasses in a bouquet or dried flower arrangement. Exotic orange dried flowers of Leonotis leonurus are now my favourite orange dried flower bunch!